For optimum comfort. 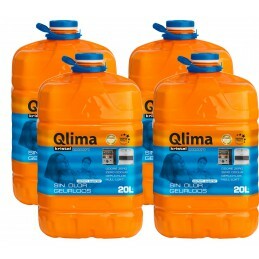 QLIMA Kristal is the beste heater fuel on the market. It has a very low amount of aromatics (< 0,007% m/m). Fuel odorless superior quality for superior heating experience. 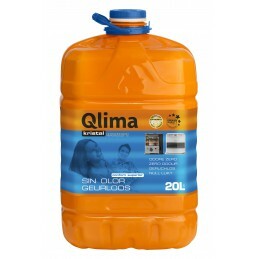 QLIMA Kristal is a synthetic isoparaffins with an aromatic content of less than 0.007% and completely odorless, which is especially noticeable when you turn on and turn off the stove. 2000 x contains less sulfur than ordinary petroleum. By distillation at high temperature and are withdrawn from any other, for combustion of undesirable substances. The high quality of this product provides the perfect functioning of your furnace and its long life. Using fuel QLIMA Kristal also participate in frequent flyer program, which allows buyers fuel collection points, which can extend the warranty period of your oven. Buy every 20 gallons of fuel QLIMA Kristal brings two new loyalty points. H304: if swallowed and enters airways can result in death. EUH066: Repeated exposure may cause skin dryness or cracking. Contains: Hydrocarbons, C11-C14, isoalkanes, cyclics, <2% aromatics, hydrocarbons, C10-13 n-alkanes, isoalkanes, cyclics, <2% aromatics. Always read the label and follow the instructions!? ?